We were featured on the “The Deliberate Creative” podcast discussing Immunity to Change. Immunity to Change is a powerful tool to help us figure out what is preventing us from making the change we want in our lives, whether it is being more creative, exercising more, or finishing a project. Something is creating the “immunity” that is stopping the change. 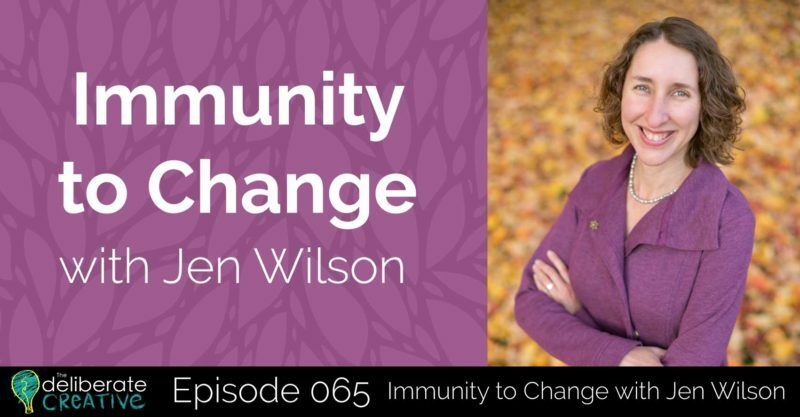 In this episode, Immunity to change facilitators Amy Climer and Jen Wilson explain how Immunity to Change works and how to use it. You will walk through creating your own map to lead you to understanding yourself and hear an example of how to use the process. The process helps individuals, teams, and organizations make the changes they want to make.